We love all our seasons in the lowcountry but there’s something extra special about spring. From mid-March to late April the lush blooms of cherry trees, azaleas, and dogwoods follow February daffodils. It’s just beautiful. There’s nothing like some good food and spring sunshine to get folks out and about in Beaufort, and what could be better than a feast of tasty seafood. Oyster roasts are plentiful as the prime season comes to an end and the delicious soft shell crabs are a big hit this time of year. There are over one hundred restaurants in Beaufort and everyone has their favorites, but good- tasting seafood (and everything that goes along with it) is bountiful and can be found at many places in and around downtown. Just follow your nose and remember to take along a hearty appetite! There’s always something new and exciting to enjoy in Beaufort and April is busy with fun things to do. There’s still time to check out the Santa Maria Replica of Columbus’ historic ship – it’s here in Beaufort until April 7 and holding tours daily. If you saw the Nina and Pinta in 2014 and 2017 when they were here, you know you’re in for a fascinating glimpse into history. Find out more at this link. How about some Easter Eggs falling out of the sky? On Saturday, April 13th, the entire community is invited from 10am to 3pm for the second annual Great Helicopter Easter Egg Drop at Beaufort Academy. It’s Beaufort’s favorite Easter Egg Hunt! A helicopter will be dropping thousands – 15,000 – plastic Easter eggs. The kids will love it. 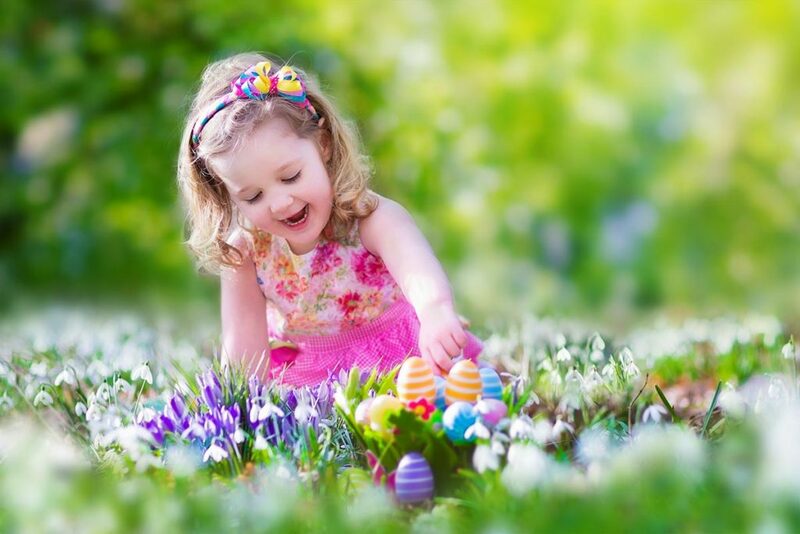 The event is arranging 4 age-specific egg hunts for kids 2 – 10. And there will be prizes. Pre-register your children to participate. More information can be found here. A lot of people are waiting for this one! 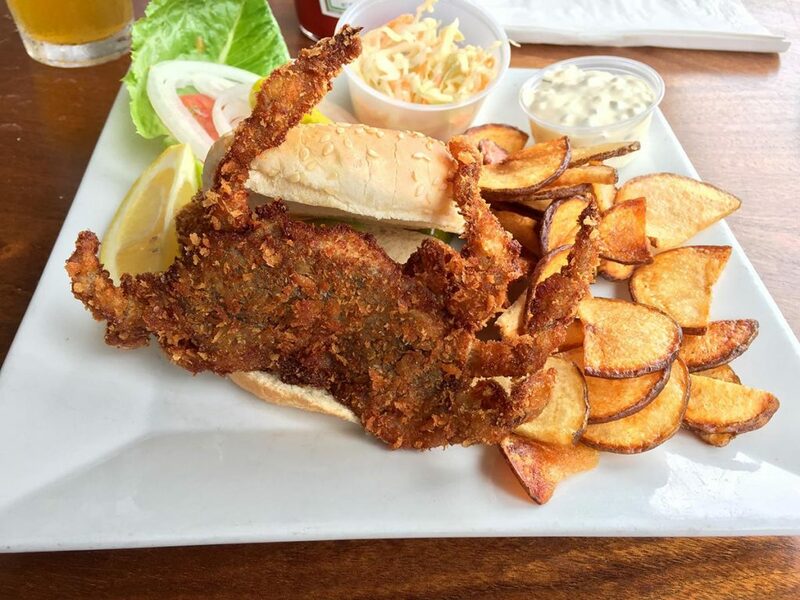 It’s soft-shell crab season! The date for this year’s 16th Annual Soft Shell Crab Festival is on Saturday, April 20th, from 11am to 5pm. They’re only here for a brief few weeks but these delicacies are not to be missed so make sure you come to the annual party. It’s a lot of fun! Live music, a classic car show, and the Rotary Club of Beaufort’s Annual Crab Race on Battery Creek are some of the events happening. Clowns, rides for the kiddies, and loads of craft vendors are available, along with a huge variety of delicious eats including those tasty soft-shells. Avid gardeners likely have seedlings up and even transplanted by now but for the rest of us, the lowcountry temperatures and rich soil means there is still time to start our vegetables out doors. Celadon’s community garden is already sprouting some early veggies. If you love fresh produce but prefer to buy your locally grown fruits and vegetables instead of growing them, you’ll enjoy Beaufort’s many farmers’ markets. Find a list of markets at this link. Backyard songbirds are back and considering their nesting options. Warblers, flycatchers, nuthatches, sparrows, and buntings are just a few of the birds you can spot from your kitchen window in the spring. At Celadon we’re hoping this year for a robust Eastern Bluebird project headcount. We installed fifteen nesting boxes in 2018 and 29 Blue Birds and 17 Carolina Chickadees were fledged . 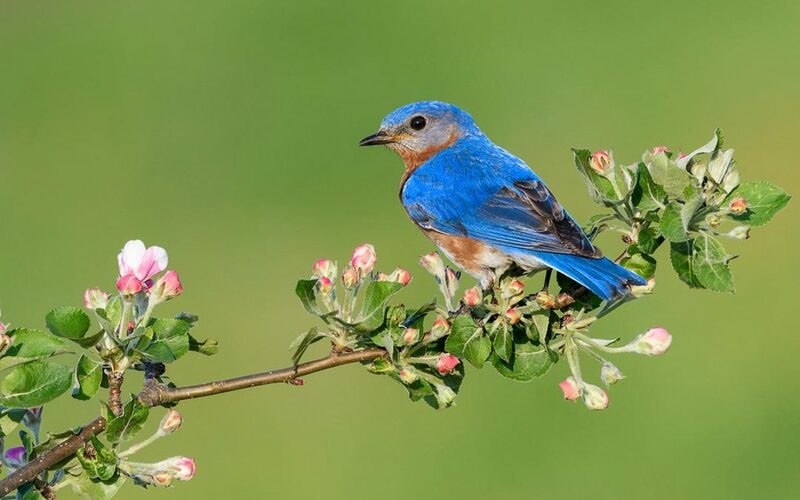 Once we have thirty boxes we will be recognized as a Certified Bluebird Habitat by the South Carolina Bluebird Society. These little beauties are a welcome sight throughout the community and our bird boxes are sure to house a host of new families soon. 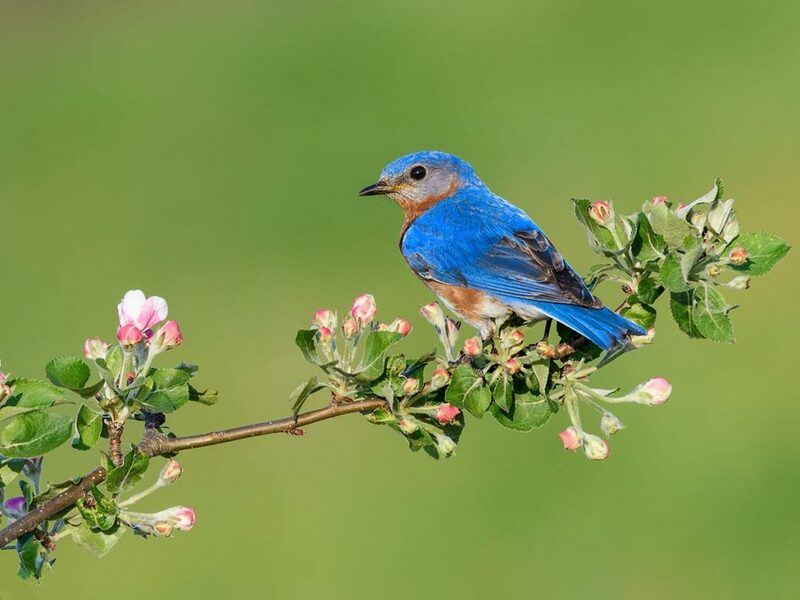 March and early April is the time to clean out your backyard bluebird box so it’s ready for nesting. And here come some beautiful new Celadon homes! While you’re out for that spring walk in the neighbourhood have a look at the new home additions to our community. Watch the progress of The Chowan ll, which is scheduled to be move-in ready by this fall. This home follows the same floor plan as our model home, featuring three bedrooms and three full bathrooms. The roomy garage also includes an additional attached, covered carport area. The kitchen contains GE stainless steel appliances and abundant, customized cabinet space. Also, take a look at the 2,458 square foot Broad II which will be move-in ready by this fall and will feature four bedrooms, three baths, a breakfast/sitting room and a two-car garage. We’re expecting to complete construction of the beautiful Morgan, an upscale three bedroom, three bath home will be move-in ready by fall of 2019 and will offer a modern kitchen with all stainless steel appliances, granite counter tops, and abundant cabinet space. The Morgan has a two-car garage with a finished, conditioned room over garage. Celadon is an upscale, wellness-focused, master-planned community on Lady’s Island – five minutes from downtown Beaufort. Celadon offers a charming selection of finely appointed, single-family homes and its walkable neighborhoods demonstrate the best in classic Lowcountry architecture. Significant “green” development, including parks, ponds, trails, and other outdoor amenities encourage outdoor activity and neighborly interaction. The Celadon Club and its Wellness Center (complete with spa services) provide unmatched opportunities for fitness, health, and wellness. Find Out More. Come for a Discovery Visit! We’d love to show you why Celadon is the perfect place for you in Beaufort! We’ll take you on a thorough and personalized tour of our Lowcountry neighborhoods (where you can check out our available homes and homesites), lovely parks and trails, Celadon Club and more. Your Discovery Visit rate of $299 per couple includes three days and two nights at one of three of Beaufort’s most iconic and luxurious hotels. Plan your Discovery Visit today!